One of the least taught yet most important parts of making money online is the art of email writing. So many folk focus on the latest traffic technique or new shiny plugin when they should really be learning how to get conversions. I have a really small list. But yet I can get on leaderboards with many of the big names. Why is that? It is mainly down to trust and the ability to write emails that sell. I’m not the best copywriter on the planet by a million miles, but I can sell. I think a lot of this is down to study. The first ever product I bought online was ARM. After that I followed many of the great writers but also tried to use my own style. Full of typos. And apart from VMI, one of the products I am most proud of is my email conversion point (included inside of VMI BTW). Now, while my training is now rightly priced at $97 ( ok, it’s still cheap), my friend Kam has a cheaper training for ya. Kam and I are alike in many ways. We both have a love hate relationship with this industry and have burnt some bridges. We are also both incredibly handsome and intelligent (no bias). His offers are always top notch. And Email fire is no different. What is it? Hopefully that brief video covers the essentials. Here is a graphical representation of the funnel ( also known as a pic) that I blatantly copied and pasted from the JV page. Email Fire is a premium 4 week email engagement series. It is designed to take cold leads and build rapport, produce engagement and increase click through rates with your list. Tests for engagement and click through are built into the series. 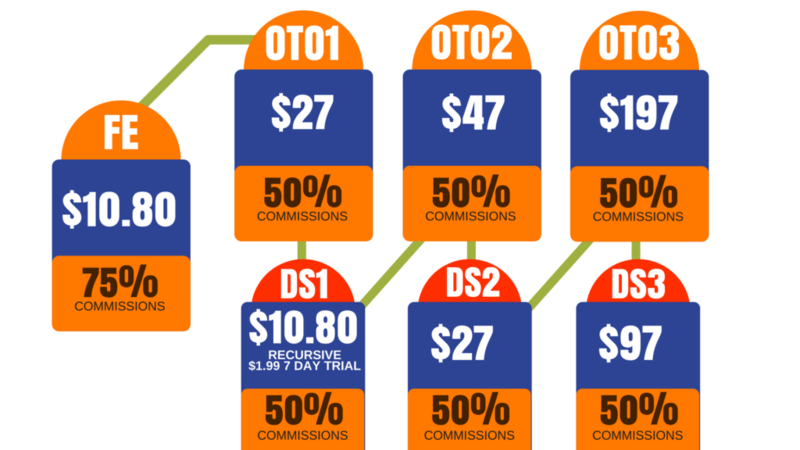 OTO1 is a Video Case Study that shows how Kam generated $1,561.92 with a specific series of emails (aka 4 Day Crush Campaign) sent out strategically over a period of 4 days. The email series itself is included in this training so that it can be copied. DS1 is the Epic Conversions Insider’s Club. It’s Kam’s monthly low ticket membership program that gives members a brand new IM product every single month and keeps them up to date on the newest tips, tricks and info in the IM space. OTO2 is Kam’s Master Class Replays Package. In this, customers will be getting replays of 3 of Kam’s Masterclass Series that retail for $97 each. This is over 22 hours of deep level IM training. DS2 takes away 2 of the Master Class Series offered in OTO2 but leaves the Affiliate Command Master Class Replays. Over 11 hours of strategy and IM tactics. Kam’s Email Fire LIVE masterclass series. A three day interactive virtual event where Kam teaches the strategies and tactics he used while creating the Email Fire series. You will be creating a brand new email engagement series together during this training. Students will get the extra series. DS3 is the replays on the 3 Day Email Fire Master Class Series. GREAT review Adam! I like kams stuff too because it’s more original than most others put out. Hey Chris. Thanks for stopping by. I agree, his stuff is original and nice one for actually putting it into practice!